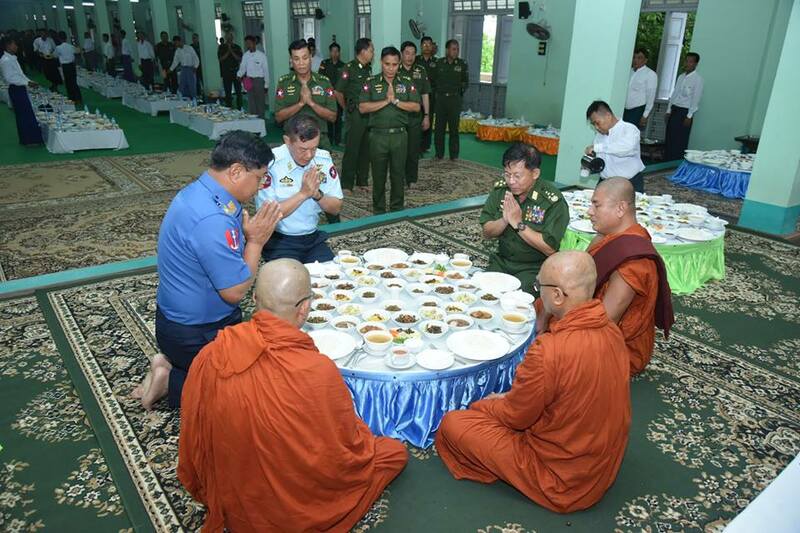 Tatmadaw (Army, Navy and Air) families this morning presented offertories and meals to 2,992 monks of Mandalay’s Masoeyein Monastery including the Maha Nayaka Sayadaw, Nayaka Sayadaw, instructor and student monks and set up funds to award who pass religious exams. Present on the occasion were members of Sangha led by the abbot of the Masoe- yein Agama Nayupadaetha Monastery Tipidaka Ovadacariya Agga Maha Pandita Nirabhivamsa, Commander-in-Chief of Defence Services Senior General Min Aung Hlaing, Commander-in-Chief (Navy) Admiral Tin Aung San, Commander-in-Chief (Air) General Maung Maung Kyaw, senior military officers of the Office of the Commander-in-Chief, the commander of Central Command and Tatmadaw families. The Senior General and congregation received Five Percepts from the abbot and members of Sangha recited Paritta.The Senior General then presented offertories to Masoeyein Monastery Maha Nayaka Agga Maha Sadhamajotika Bhaddanta Sanabhivamsa, and presented a fund of Ks-30 million to officials to award the monks who pass religious exams. 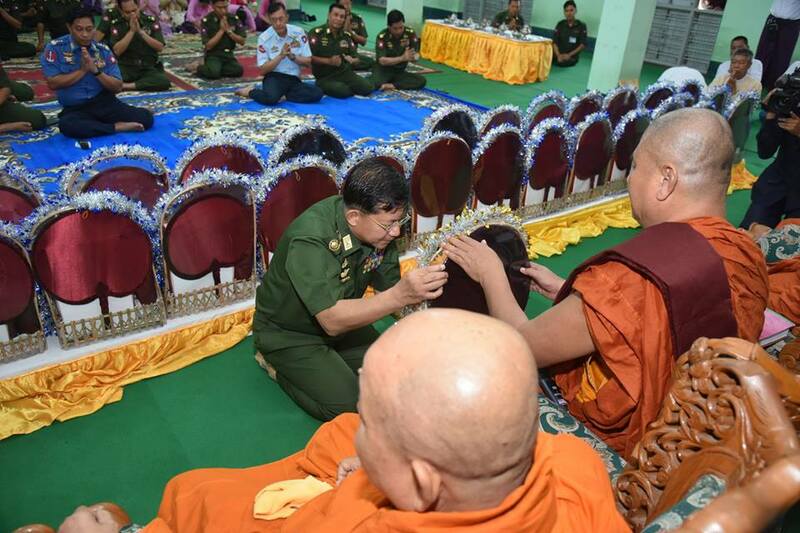 Then, Maha Nayaka Sayadaw of Masoeyein Monastery presented certificate of honour to the Senior General. 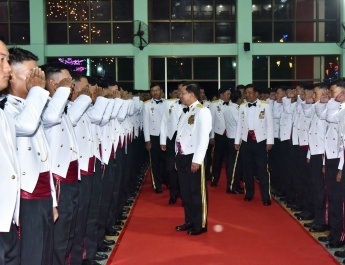 The Commander-in-Chief (Navy), the Commander-in-Chief (Air) and senior military officers presented offertories to members of Sangha. The Senior General and congregation heard sermons from the Maha Nayaka Sayadaw of Masoeyein Monastery and shared merits gained. Then, they offered meals to members of Sangha. In the morning, Tatmadaw (Army, Navy and Air) families offered rice to 2,992 monks of the Masoeyein Monastery. 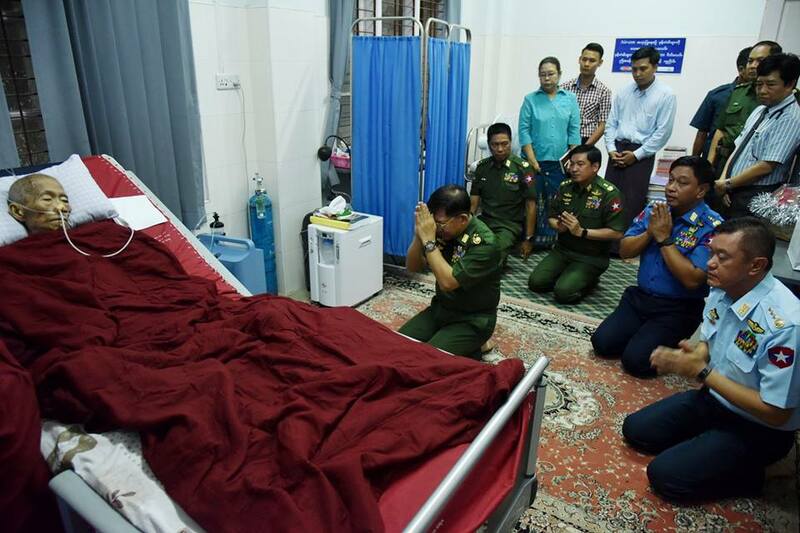 The Senior General and party visited Maha Withokdayone Monastery Shwegyin Nikaya Maha Nayaka joint Shwegyin Sangha authority abbot of the Mattara Thahtay Monastery Sayadaw Agga Maha Pandita Manitasiribhivamsa who is receiving treatment at cardiological intensive care unit of Mandalay General Hospital and asked after his health, and fulfilled the requirements. The Senior General presented offertories and bird’s nests. 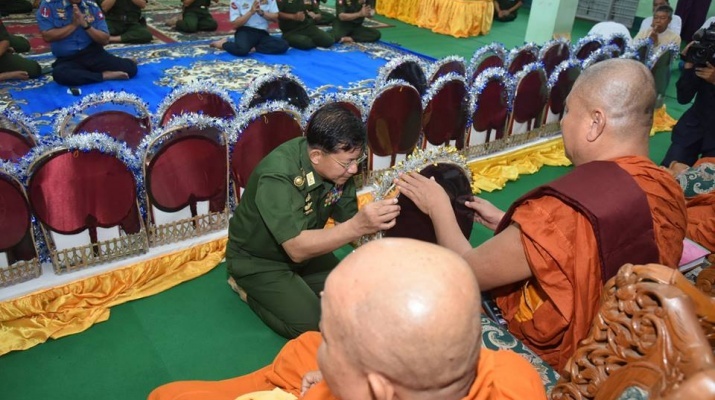 The Senior General and party visited State Ovadacariya Presiding Sayadaw of Maha Wizitayone Monastery Abhidhaja Maha Rattha Guru Bhaddanta Visarinabhivamsa, asked after his health, and presented offertories and bird’s nests.